For years, their existence has been debated: elusive electrical discharges in the upper atmosphere that sport names such as red sprites, blue jets, pixies and elves. Reported by pilots, they are difficult to study as they occur above thunderstorms. 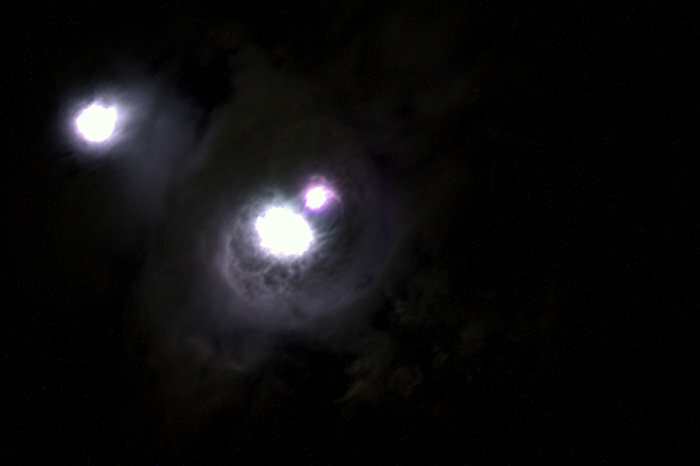 ESA astronaut Andreas Mogensen during his mission on the International Space Station in 2015 was asked to take pictures over thunderstorms with the most sensitive camera on the orbiting outpost to look for these brief features. Denmark’s National Space Institute has now published the results, confirming many kilometre-wide blue flashes around 18 km altitude, including a pulsating blue jet reaching 40 km. A video recorded by Andreas as he flew over the Bay of Bengal at 28 800 km/h on the Station shows the electrical phenomena clearly – a first of its kind. Satellites had probed these events but their viewing angle is not ideal for gathering data on the scale of the blue jets and smaller blue discharges. In contrast, the Station’s lower orbit is ideally placed to capture the sprites and jets. 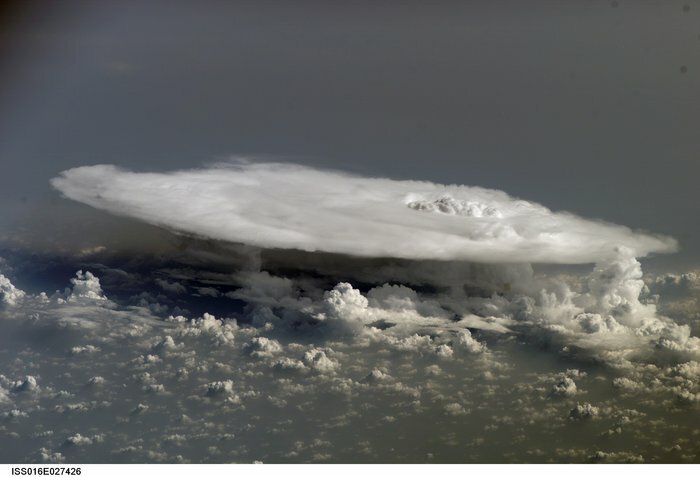 Andreas aimed for cloud turrets – cloud pillars extending into the upper atmosphere – and shot a 160 second video showing 245 blue flashes from the top of a turret that drifted from the Bay of Bengal’s thunderstorm. The blue discharges and jets are examples of a little-understood part of our atmosphere. Electrical storms reach into the stratosphere and have implications for how our atmosphere protects us from radiation. This experiment confirms that the Space Station is a suitable base for observing these phenomena. As a follow-up, the Atmosphere–Space Interactions Monitor is being prepared for launch later this year for installation outside Europe’s Columbus laboratory to monitor thunderstorms continuously to gather information about such ‘transient luminous events’.